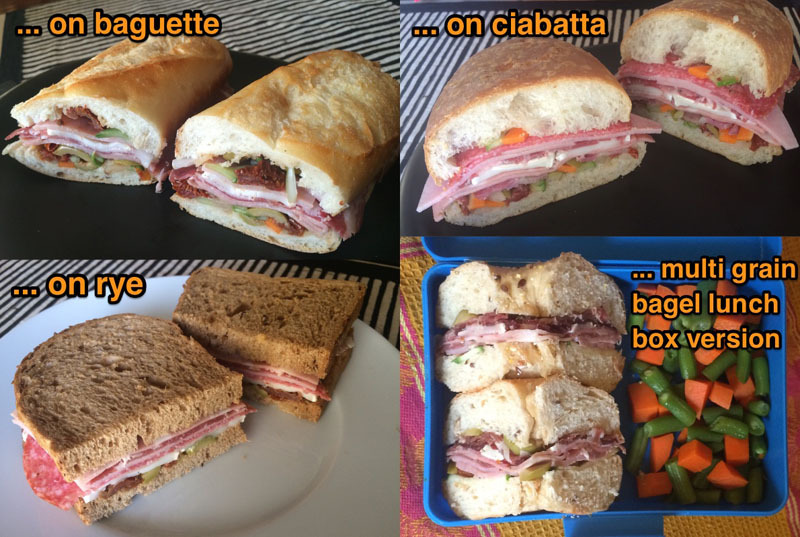 A study in Muffuletta | eat me! Ever since that special NOLA week at Daluva, I have been crazy about this New Orleans style sandwich and have been experimenting with making my own. Gladly I can find all kinds of breads and cold cuts here in places like Mini Food Shop and L’s place. As for the olive salad, since I was only making one sandwich at a time, I ‘faked’ that step by just cutting up whatever olives / pickled veggies I could find. I really love adding sun dried tomatoes, showcasing the Italian heritage of the meat monster. Ritsu was very happy when she discovered that I had made her not just a simple sandwich. Mai Châu Sol Bungalows – All the food!